Nice house situated in a quiet area of Llafranc. 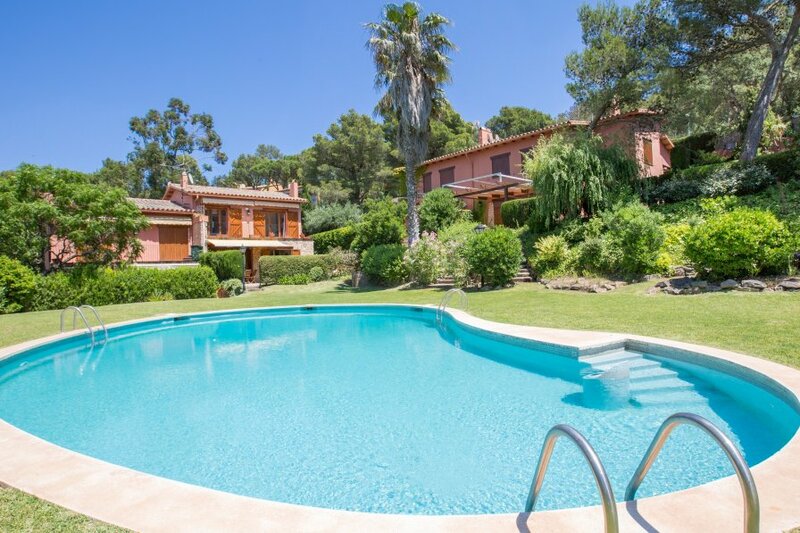 160 m2 house located in Llafranc lighthouse area - a group of 8 houses with pools and gardens, terraces and private gardens. About 1500 metres from the beach. House with 2 floors - 3 bedrooms (6 single beds), 1 bathroom and 1 shower, a living room (TV), a kitchen (dishwasher, microwave, washing machine) garage. Very quiet area. The village where it's situated, Llafranc, is the perfect place to spend your holidays if you are looking for charm, quiet days and wonderful places to discover. If you go there for your holidays you could enjoy, apart from the sandy and nice beach, about our different good restaurants, little shops, nice views, fun for children... all inside a good and family environment. A walk along the entire creek to the port of Llafranc which occupies part of the lift and up to the Punta del Pinell, a large area of aquatic activity where you can practice the best dives on the Costa Brava. At 167 meters above sea level, the lighthouse is located in San Sebastian, which separates Llafranc of Tamariu. From his viewpoint you can admire one of the best scenery of the Costa Brava. If you stay here for your holidays, you have to walk around the "Paseo de Ronda", surrounding the sea, a special and wonderful way from Llafranc to Calella de Palafrugell (another little fisherman's village full of charm, right next to Llafranc ) that you have to discover if you go there. So you have the perfect formula to have some great days in Costa Brava.